Tactical watches are a must-have for any man that is looking for a watch that is sturdy, reliable, and loaded with unique features all wrapped up in a masculine and somewhat rugged appearance. The right tactical watch will be able to handle anything that comes its way, whether it be a hiking trail, a dive into the ocean, or even a dangerous situation like one you may find in combat. Other ways a tactical watch can be top-notch is for its worthy features like GPS or weather tracking. We’re going to go through the top 10 military watches for men for 2019. You won’t want to miss these. The best tactical watch will be durable to ensure it can withstand the elements of all your activities. It should also have a lightweight feel that’s easy on the wrist. The best military watch should also include features that work for the wearer. This could be anything from GPS and phone synchronization to a barometer and altimeter. 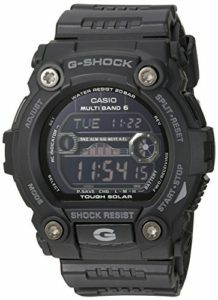 The Casio GW7900B-1 G-Shock Black Solar Sport Watch is designed for the man that needs a durable watch with a somewhat more sleek and elegant appearance. The bezel and case are both made with a resin material. This adds to its durability, but also offers a smooth surface that’s masculine and classy. The design also comes complete with a black face with gray color numbers underneath. It is an ease to view and keeps world time in 48 cities. It is water resistant for up to 220m (660 ft) which is suitable for marine activity and other water sports, but not scuba diving. This watch does come with lots of instructions due to its many settings. If you are the type of person that doesn’t love setting up, this may not be for you. However, users mentioned they love this watch because it’s sturdy about suitable for activities like swimming, camping, and mountain biking. Best of all, this watch corrects the time automatically. The favorite part of all users, though, is the watch’s ability to light up for about 2 seconds when you flick your wrist (best viewed at night time). 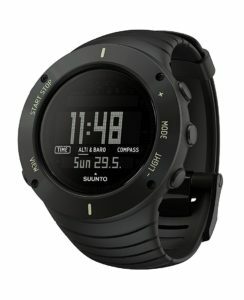 For the men out there who enjoy more rugged experiences, such as tough hikes through the mountains or snorkeling in the depths of the ocean, the Suunto Core Wrist-Top Computer Watch is going to be your best choice. This tactical watch truly has it all, no matter what adventure you may find yourself on next. A barometer and altimeter combined together to easily record your elevation using one-meter intervals. Capable of calculating your pressure trends for an accurate reading. Logs your altitude trends for up to 7 days. This means that hikers can find out the true vertical they have reached during their hike, and a skier can record their number of laps down the mountain. Three different alarms, all with an extra loud alarm sound that can be heard even in the noisiest areas. Handy compass, necessary for hikers and those who do plenty of traveling outdoors. Completely waterproof, perfect when swimming, snorkeling, or diving. 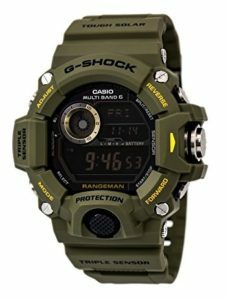 If the military look of this G-Shock Rangeman Master of G Series Stylish Watch isn’t enough for you to purchase it, then its list of must-have features certainly will. Extreme durability thanks to material used. Even a drop from up to 10m high won’t cause any damage to the device, making it one of the toughest military watches on the market today. Waterproof to up to 200m below, great for anyone who enjoys time in the water. Battery life for up to 10 years. LED backlight that automatically turns on when you are in a dark area. Altimeter to measure altitude, barometer to measure atmospheric pressure as well as predicting weather, and a compass. 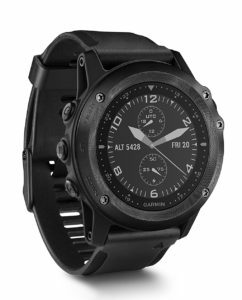 If your idea of a tactical watch is one that can accompany you on any sport and activity, then you need the Garmin Fenix 3 HR tactical watch. This is the go-to military watch for any active man that not only needs a sturdy watch to accompany him, but also track and log his movements. 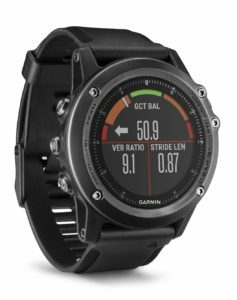 The Garmin Fenix 3 HR can quickly sync up with your smartphone using Bluetooth. It also has a built in GPS, as long as there is a signal in the area you are at. Quickly track all of your movements on the Garmin Fenix 3 HR watch. Track how many steps you’ve taken, what your heart rate is, and how your sleep pattern is going. Whether you’re a mountain hiker, a cyclist, or a skier, you can track any and all of your movements. Sync them to your smartphone to keep your records straight. Sometimes a guy just wants a watch that doesn’t have all the ‘hype’. 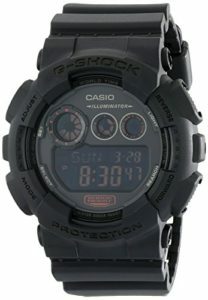 They need a watch that can go anywhere with them with exceptional durability. It should also include a face that’s easy to read in any situation. When simplicity but durability and ease of use is what you are after, you should turn to the Seiko 5 SNZG09K1 Sport Analog Automatic Canvas Watch. Comfortable thanks to its canvas band. Easy to read time with large, visible numbers. 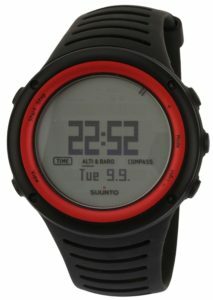 There is one watch that can do it ALL, and that is the Suunto Traverse Alpha. We could go on for hours trying to explain just how handy this military watch is. Instead, we will give you the low down on why this watch has all the military and tactical features you could ever dream of. Shows exact coordinates of your location. When synced with your phone, you can look at a more in-depth look of your travels from speed to duration and more. Set up routes and download them to your watch. Perfect for hunting, patrolling, or any other outdoor activity. Sync with your smartphone and your watch will receive alerts such as text messages and phone calls. A handy compass, altimeter, barometer, and thermometer. Moon phase calendar complete with alarms for moonrise and moonset. Backlight which is fully compatible with night vision goggles. Shot detection, which can quickly detect when a shot is fired and will also save the coordinates of the shot right to your watch. A tactical watch should be able to accompany you on any adventure, and should never leave you hanging. The right tactical watch should be durable enough to handle the roughest situations. It should also be handy enough to record your movements and have several functions for your outdoor activities. That’s where the Garmin Tactix Bravo military watch comes into play- it’s downright one of the best watches on the market. Built in GPS that shows the coordinates of your locations. Program routes to your GPS for easy maneuvering. Several tactical modes alongside other modes such as: swimming, running, others. Can show phone notifications when synced up with your smartphone. Compass, altimeter, barometer, thermometer included. Sometimes a watch doesn’t need to ‘have it all’. 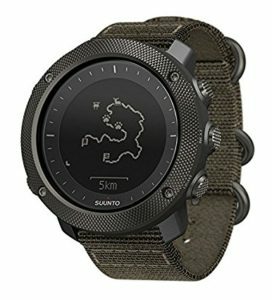 If a sleek but masculine design is something that you’re after, then the Suunto Core Military watch may be the ideal watch for you. Not only does it have a very sophisticated appeal, it is also very easy to use. It is a simplistic watch that doesn’t require too much effort to learn the buttons and features. Although this particular military watch isn’t loaded to the top with features, it still comes with a couple of unique things that you may enjoy. Barometer, thermometer, altimeter, and compass. Storm alarm can alert you of rapid pressure changes in the air which typically leads to a storm. Easy-to-read face and easy-to-use interface. It’s the perfect watch for someone needing something more basic but still useful. 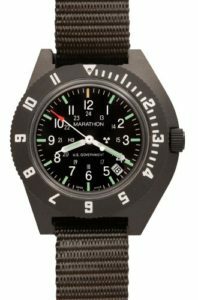 While some watches may be bulky and heavy on the wrist, the Marathon Military Navigator Quartz Watch is super lightweight. It can therefore be taken anywhere with ease. Its lightweight shell does not diminish its strength, however. This highly durable gadget is known to be shock resistant, water resistant, as well as sweat resistant. Designed to ‘strict military conditions’, you know this watch is made to last. It is the go-to model for the man who needs a watch with extremely accurate time-keeping. It also has a contemporary, minimalistic design that looks fancy and nice on the wrist. While this watch isn’t loaded with a hundred features, it is still a recommended watch thanks to its appearance and lightweight feel. 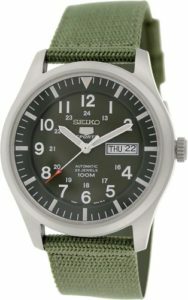 It’s not more of a tactical watch for the outdoorsman, but a military watch for someone in the field who desires accuracy and ease of use. For the man out there who not only needs an attractive watch on their wrist but one that can handle all of their rugged experiences, the G-Shock GD-120 Military Black Sports Stylish Watch is a great choice. It was specifically designed for military men and all their activities, so you know it is built to last. A desirable black and red matte color scheme, complete with a loyal blue light. Multi-time zone feature for keeping track of the time in other countries. Resin band that is built to withstand just about anything. Almost completely unbreakable, a great feature for the rugged guy that does the most extreme and tough activities. An easy to use stopwatch and timer. Water resistant to 200m below the surface. A full auto calendar so keeping track of the day and certain events is a cinch. What Should You Consider Before Purchasing a Tactical Watch? Before purchasing any military watch or tactical watch, you need to assess your needs and find the watch that best suits you and your daily activities. Do you do a lot of outdoor activities? You need a watch that has desirable features, such as a GPS, barometer, altimeter, and thermometer. Do you want a simple military watch? Opt for the watch that has a sleek and easy-to-use design that doesn’t include too many excess features. Are you around water often? Find a watch that has water resistance, especially if you do a lot of underwater activities. Some watches will be pricier than others. Keep this in mind and do your research to find your best option in terms of price and functions. Are you more focused on style? Some of these watches have a more sleek and elegant appearance, while others have a military style. Consider styles when purchasing your tactical watch. This list of the best tactical watches are all about providing the user with features, functionality, and a user-friendly face and interface for ease of use. Your content is really awesome. And nice compliment about the best military watches. Can you tell me please whats the name of the black color watch?